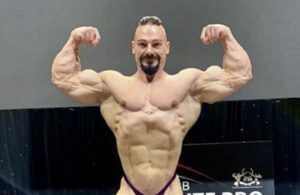 IFBB Physique America announces G.C.N. Classic for September. 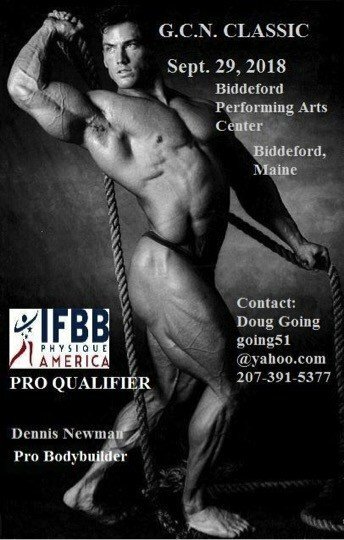 IFBB Physique America Maine Chairman, Doug Going, has announced the first major event in the state, the G.C.N. 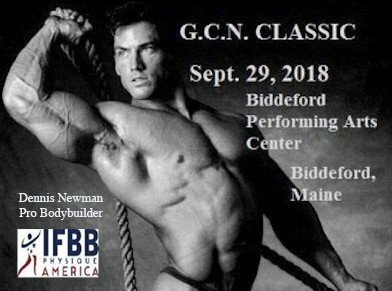 Classic, which will take place September 29, 2018, at the beautiful Biddeford Center for the Performing Arts in Biddeford, Maine. The promotion group doing the GCN event are there three men whose initials are the title. 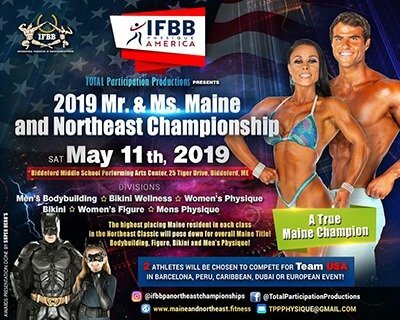 The “G” is for Going, as in Maine State Chairman Doug Going, the “C” is for Cena, as in Physique Promoter Matt Cena (brother of WWE great John) and the “N” is for Newman as in Dennis Newman, former USA Champion and Bodybuilding Legend. “We all come with our own individual talents but when you put us together we are an unbeatable team. 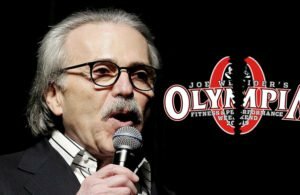 In addition, a portion of the proceeds will go the Leukemia and Lymphoma Society” articulates Going.